The “Indicators of Education Equity: Inquiry, Evidence and Impact” convening, jointly sponsored by the National Urban League, Unidos US, and the Institute for Urban and Minority Education commenced on Monday, December 3rd with the intention of seeking agreement about the metrics, indicators, and evidence of equity in education. The widespread use of these terms by a variety of stakeholders has opened up important conversations and collaborations, but has also reduced the meaningfulness of these terms for practitioners. With the ultimate goal of improving the lives of students and the health of their communities, this convening brought together activists, authors, scholars, policy workers, researchers, and educators to reflect upon questions of education equity, assess the new political landscape, and collaboratively consider the questions we have, and the questions that most warrant our collective attention. Following the plenary, President of the Education Commission of the States Jeremy Anderson provided a lay of the electoral landscape, graphically illustrating how significantly different the incoming cadre of political representatives are from their predecessors, especially with regard to those holding positions overseeing education administration. 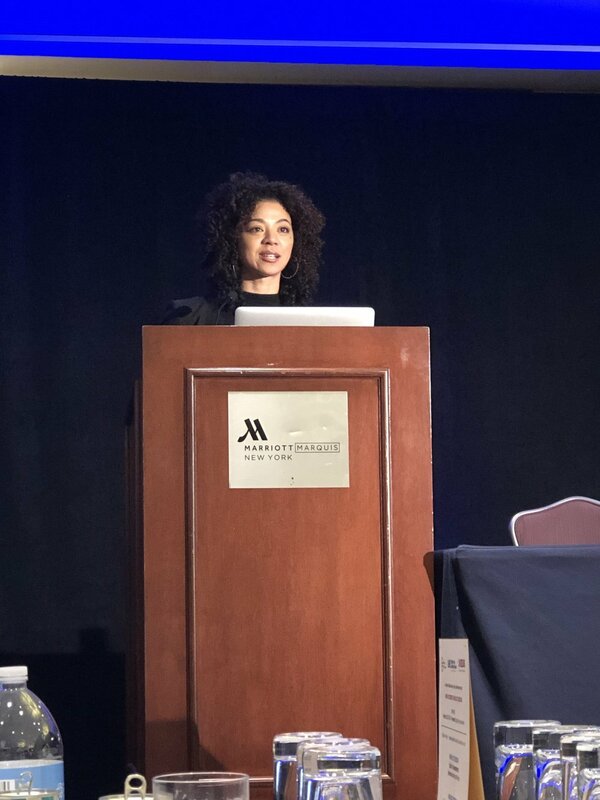 Dr. Sonya Douglass Horsford of TC and IUME then proceeded to offer another perspective on American education, identifying the way that political, cultural, and historical factors may be leading America toward Jim Crow models of education even against our expressed hopes and desires. Touching upon points made by Anderson, she posed a somewhat countervailing question: if parents and community leaders are not present at the education decision-making table…who is? Subsequent to break-out sessions focusing on “equity in assessments” featuring TC Professors Detra Price Dennis and Charles Lang, "equity in career and technical education,” "framing and naming equity” featuring Joe Rogers of the Center for Educational Equity at TC, and “social, emotional, and academic learning,” Professor Fullilove led a discussion of how to build a more comprehensive agenda. In the 21st century, he claims, “we all exist in silos,” making it hard to create collaborations that make a difference. The path to progress, in his estimation, lies in blending education and health profiles in ways that allow communities to come together to address issues of import to members of the community in more comprehensive and impactful ways. On the second day of the convening, participants had the opportunity to reflect and set directions for the day’s conversations in several sessions. The opening plenary discussion focused on elevating parent and student voice in equity, and featured community and parent advocates and a student leader. In his keynote address, in reference to the inquiries at the heart of the “Indicators of Education Equity” conference, Dr. Edmund Gordon, IUME director emeritus, posed an important question: “Why on Earth in a democratic society are we still asking these questions?” Tracing his own thinking and involvement in education over decades of scholarship, Dr. Gordon posed “possibilities for a new role for educational assessment in the pursuit of excellence and equity in the education of diverse populations of learners”. Pedagogy ought to be concerned with learning and creating opportunities to learn, and we should “direct our efforts to modifying the experience of education because…intelligence is a function of experience.” An afternoon plenary, “Achieving Equity in Education Systems”, featured presentations by Professor Amy Stuart Wells of TC and IUME, David Banks (Eagle Academy Foundation) and Amanda Wilkerson (University of Central Florida) to discuss systemic inequities and challenges and opportunities that arise when bringing equity to scale. Convening participants also had the opportunity to view “The Infamous Future”, a documentary about Eagle Academy and its role in educating young men of color. The talkback with David Banks and the film’s executive producer, John Campbell, focused on issues raised by the film and Banks’ emerging work with public schools in Brooklyn and elsewhere to bring successful practices to scale. Amid the considerations, conversations, and connections made during this two-day conference, experts from various fields hailing from a diverse range of communities highlighted the need to be involved in the process of determining indicators of education equity not just of the academic child, but of the whole child, and not just of the whole child but of the community she comes from and carries with her. Students, their parents, and community members must be involved in these conversations. Collaborative efforts to improve and sustain community health that see housing, health, and education as inherently connected have historically helped and provide a promising path forward. 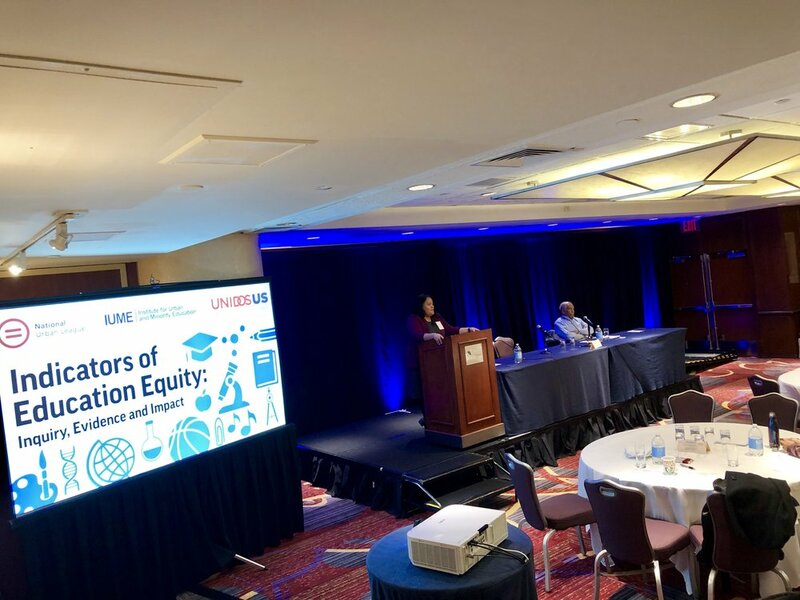 This gathering has set the stage for deeper contemplations of education equity, and more collaborative approaches to achieving equity that are aligned with the momentum and direction and desires of communities all throughout America. 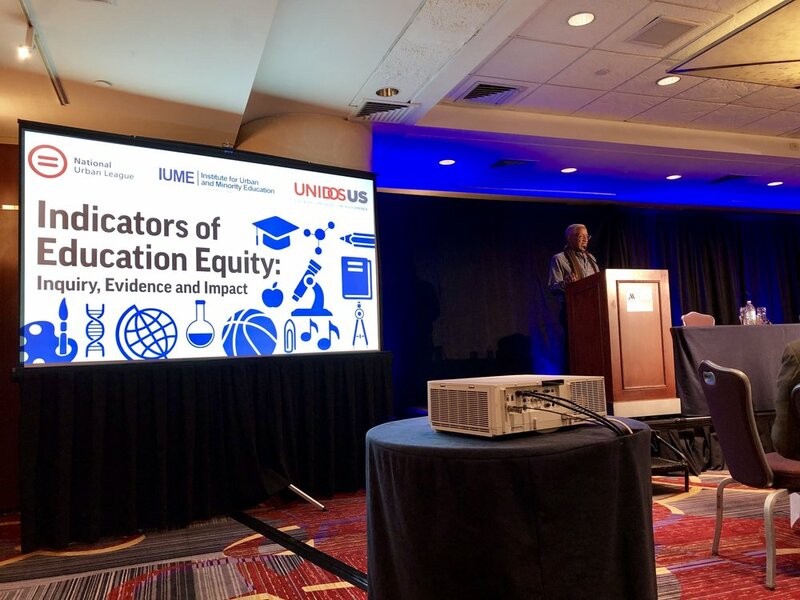 By addressing the systemic and structural features that constrain us, we will be free to establish more just and equitable schools, and a more just and equitable society.